From a very early age, as many of you out there, I have been, and always remain, a big fan of the music of Frank Zappa ! It is with great honor that I personally, along with everybody here at JAM pedals, welcome Dweezil Zappa as an official member of the JAM pedals family! 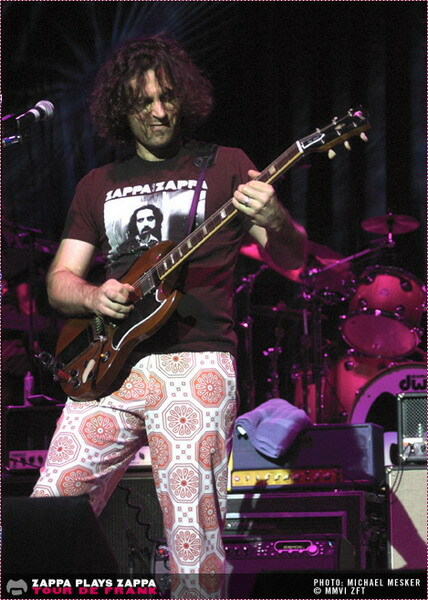 Dweezil is an amazing guitarist and musician with his own huge career and contribution to music, but he has also been caring the torch of the Zappa legacy with the Zappa plays Zappa project with an ongoing success for many years now! Dweezil’s rig rundown by Premier Guitar : Dweezil is using the Red Muck, the Delay Llama+, the TubeDreamer88, the WaterFall, the Wahcko+, the Fuzz Phrase, the Dyna-ssor, the Ripple, the RetroVibe, the Rattler+ and a Big Chill prototype. We are truly excited to hear our pedals in his hands! Welcome Dweezil Zappa!